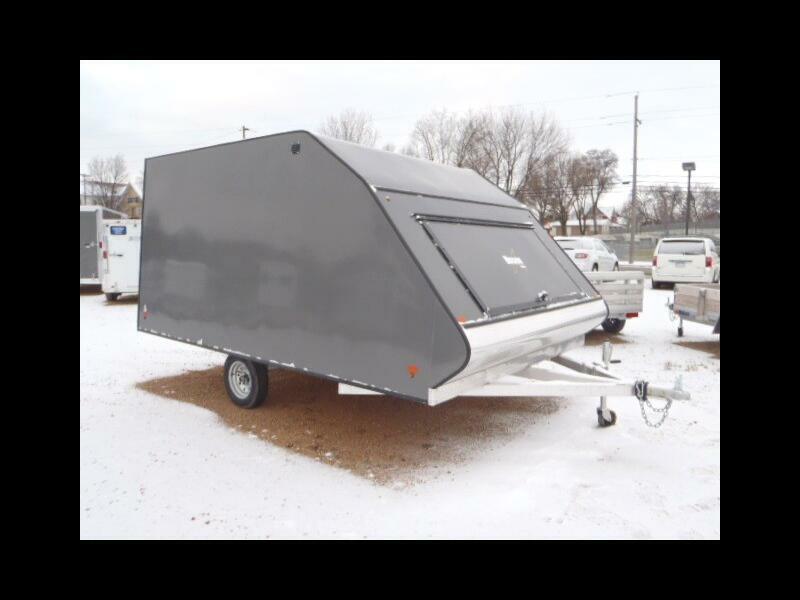 Check out this brand new Mission 12" crossover snowmobile trailer. Ramp rear door with ski glides and paddle grabbers for drive in, back out convenience. New for 2019 features like tapered ramp, extra large 32" x 70" front access door, 3 piece step, thinline clear lens LED tail/stop/turn lamps, torsion axle, *no rust galvanized axle and wheels*, smooth screwless side panels, 26" x 58" side door, more. Tapered sides make it easier to see around. This one is fully loaded! Message: Thought you might be interested in this 2019 Mission Enclosed Snow .